The volunteer perk system helps volunteers earn great perks to attend SXSW as well! Please be sure to look over and understand the badge offerings before signing up. ALL perks are non-transferable and will only be issued to the volunteer completing the hours. Venue age and capacity restrictions apply. 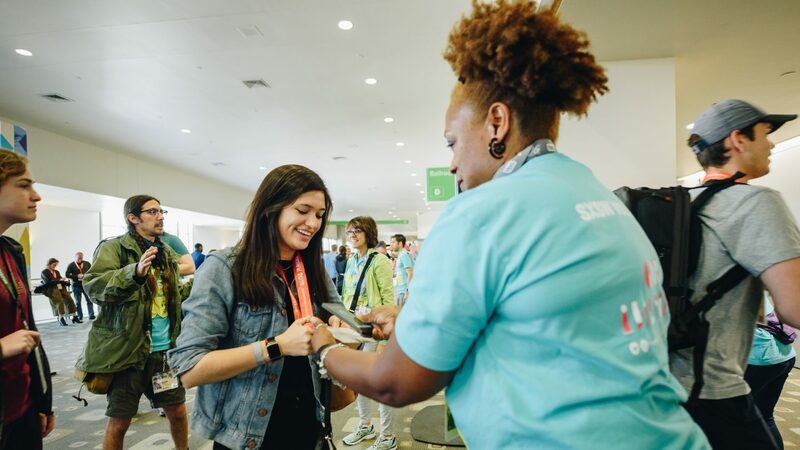 Volunteers wishing to earn a SXSW EDU Badge and a SXSW volunteer perk must schedule enough hours for both perk requirements. *Reserved for returning volunteers. A Platinum Nomination must be on file for returning volunteers earning a Volunteer Platinum Badge for the first time. Email volunteer@sxsw.com for more information. Volunteer badges have access to most events and areas that SXSW produces, with a few exceptions. Access to SXSocial, SXXpress, and the Registrant’s Lounge is not permitted. These badge features are reserved for our Registrants and Volunteer Crew and Stage Managers. In addition, some sponsors or clients, at their discretion, may restrict access to their events.